We are only three weeks in and we had another brilliant #cmschat last week where we shared ideas and tips to improve the effectiveness of church bulletins. Last week we shared the transcript from our church bulletin chat, but this week we’re pulling together some of the best ideas, insights and examples from that chat. Bonus: Download our handy bulletin bingo sheet, and see if your church’s bulletin faux pas can score you a bingo! 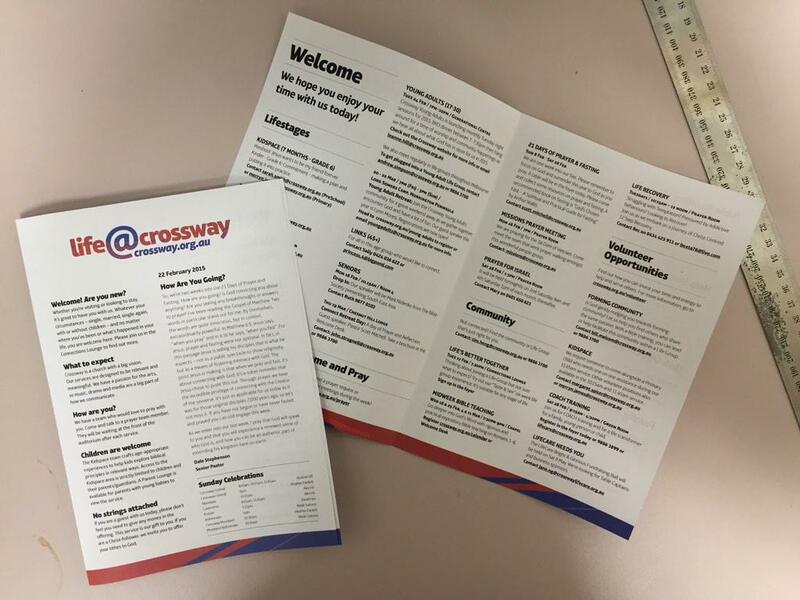 A bulletin should help guests connect, inform attenders and give a place for sermon notes where possible. Have a process and a material deadline to ensure you get enough time to create it properly. Reduce the amount of information to the top five things people need to know for the week. You have to think strategically, not fair. The bulletin needs to support the vision and drive people toward that. Have goals for visitor, infrequent attender and member. Does your bulletin reach each of those? Make the bulletin an essential resource/road map for visitors. Some have swapped over to email completely. 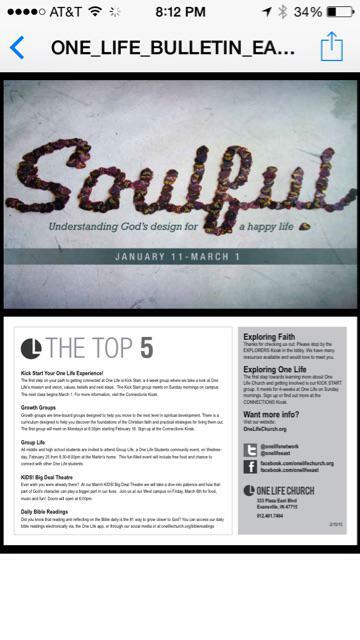 Paper bulletins are like mobile web for visitors vs. apps for regulars, accessible and mission minded. Paper and email bulletins are two different contexts and need to be treated differently. Email is for regular attenders, paper is for visitors. Where possible everything should point to the website. Include a consistent, clear response step. Name, contact, dates and times. A template approach to announcements can really make things easier for everyone. Simplify and focus on the why, not just the facts. Less is more. Be short and to the point. Develop a consistent tone of voice in your writing style. Avoid insider language. Would visitors understand it? Keep the design fresh. Change it up regularly so it doesn’t get tired and people switch off. Tell your church staff: Negative space is how our eyes breathe. Your announcements will stand out more and get more attention. Come with a yes attitude to your ministry partners. Wrap any no in a larger yes. For more bulletin help, check out our Courageous Storytellers membership site. Our Courageous Storytellers membership site offers more bulletin resources, including 30 more sample bulletins, templates, how to do a digital bulletin, a bulletin assembly process guide, and more. Join now to get access. See our collection of free bulletin tips and advice. Play some bulletin bingo, and see if your church’s bulletin faux pas can score you a bingo! When bulletins explode all over visitors—advice from Jonathan Malm. Can you explain more on #9: Paper bulletins are like mobile web for visitors vs. apps for regulars, accessible and mission minded. Great summary. Thanks, Steve. I’m looking forward to joining the next #cmschat. Thanks for the examples of bulletins. Do you have any newer examples? This seems to be an older post. Thanks.